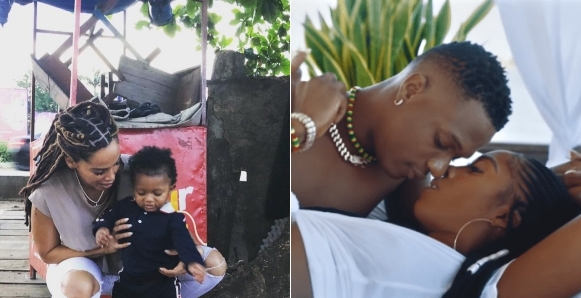 Wizkid’s third babymama and manager, Jada Pollock has subtly fired back at those trolling her over Wizkid’s ‘Fever’ video which featured his best friend Tiwa Savage as a video vixen by sharing a photo from Ghana. The video for Fever was shot in Ghana and this is just a shot at those saying she is upset over the video. She had earlier hit back at two trolls who accused her of not sharing the video. 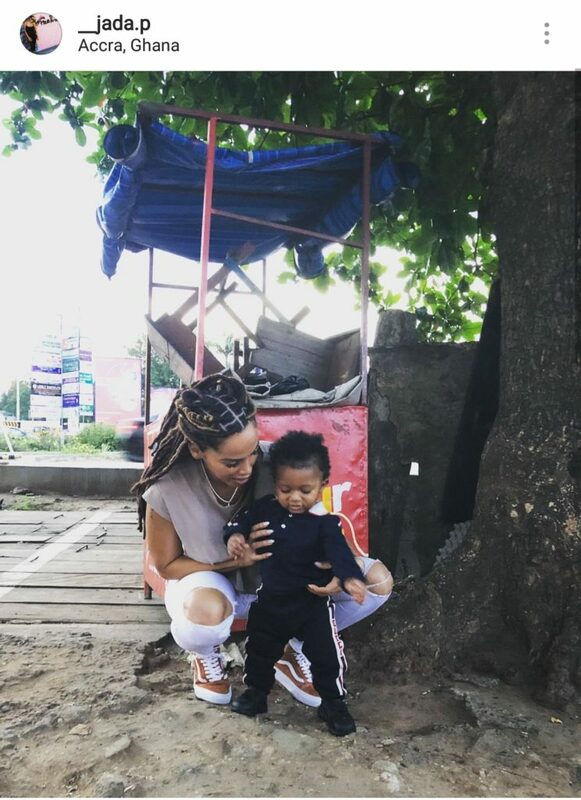 She took to Instagram to post a photo of herself with their son Zion.